While ASAMA is not open on weekends, the Academy invites the public to visit the museum from 9 a.m. until 4 p.m. each day of the week prior to Olympic Day on Saturday, 23 June. The ASAMA collection includes the Olympic Room, which is located in the Academy’s Library. 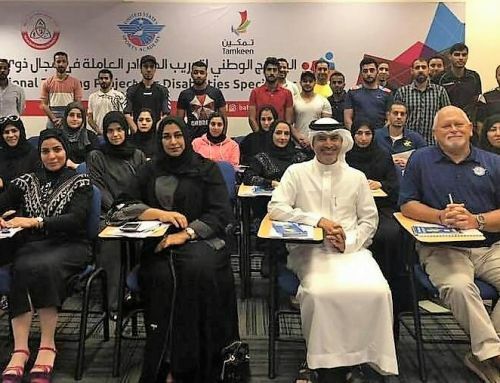 Many different types of Olympic memorabilia are on display there including pendants, pins, medals, sculptures, books and manuscripts dating back to the earliest days of the Modern Olympic Games. The ASAMA collection also prominently displays in its lobby a series of prints from renowned Spanish artist Cristobal Gabarron which represent the 26 pillars of the Atlanta Star – An Olympic Forest project. Shortly after the 1992 Barcelona Olympic Games, the Academy commissioned Gabarron to produce a piece for the centennial of the Modern Olympic Games. Gabarron produced 26 pillars representing each Olympiad since 1896, the year the Modern Olympics began. The pillars were positioned in the shape of a star – patterned after the Academy logo – that was placed in front of the Olympic MARTA station in Atlanta for the 1996 Summer Olympic Games. Prints from the Atlanta Star line the main wall in the lobby at ASAMA today. In the Thomas P. Rosandich Gallery at ASAMA, visitors will find the Bing Mah Yong paintings by two-time Sport Artist of the Year Charles Billich. For the 2008 Beijing Olympics, Billich created the 16-piece body of work, which manipulates reality by featuring the terracotta warriors of ancient China as modern Olympians. Billich’s famous “Londonolympia” cityscape, which depicts all of London’s Olympic sports facilities and great landmarks, is also on display in the main lobby at ASAMA. 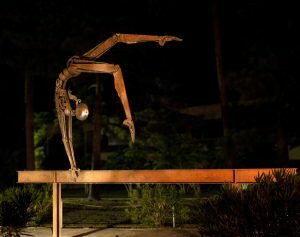 “Nastia the Gymnast” is one of nine Bruce Larsen sculptures featured on the grounds of the American Sport Art Museum & Archives at the United States Sports Academy. 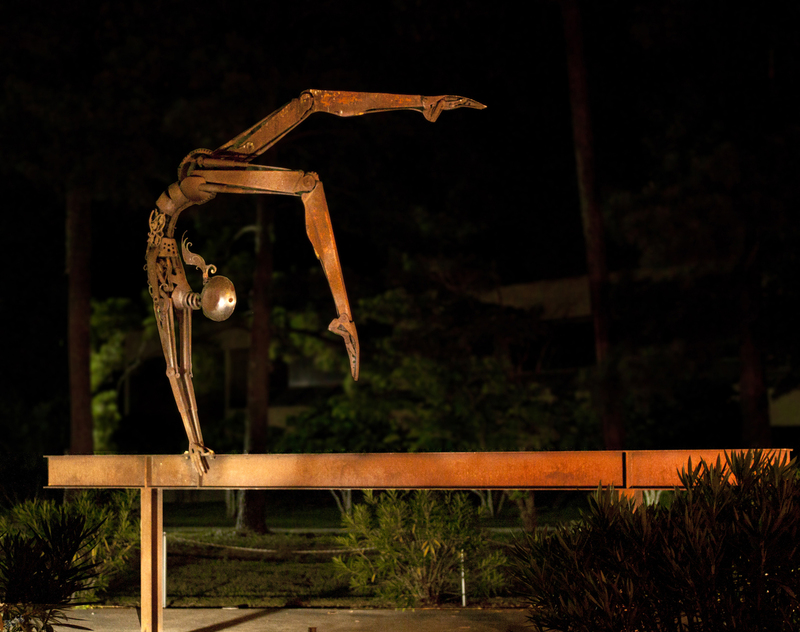 The sculpture represents former United States Olympic gold medal gymnast Nastia Liukin. The Olympics are also represented in the Sport Sculpture Park outside on the ASAMA grounds. There, visitors will find several large sculptures by Fairhope, Ala., “found art” sculptor Bruce Larsen. His “Borzov the Sprinter” greets guests to the Academy’s front entrance. 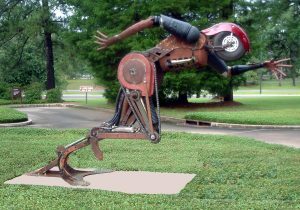 The larger-than-life sculpture – made of gears, hoses, a hydraulic cylinder, hubcaps and other found objects – is named for the great Soviet sprinter Valery Borzov, who won gold in a pair of sprint events in the 1972 Munich Olympics. Other Larsen pieces on the ASAMA grounds include “Nastia,” named after American Olympic gymnast Anastasia “Nastia” Lukin, the all-around champion at the 2008 Beijing Olympics.  Other Larsen works featured in the Sport Sculpture Park represent world-renowned Olympic swimmer Mark Spitz, basketball player Michael Jordan and baseball player Bo Jackson. The Sport Sculpture Park is also home to an oak tree descended from the saplings given to medalists in the 1936 Berlin Olympics. American athletes in pre-WWII Berlin were given oak tree saplings by their Olympic host in 1936. Gold medal sprinter John Woodruff planted his in Connellsville, Pa. Years later, a sapling from Woodruff’s oak tree was given to the Academy. Today, it stands nearly two stories tall. Visitors to ASAMA will also find several complete collections of official Olympic posters, including those from the Olympics in 2016 in Rio de Janeiro, Brazil, and 2008 in Beijing, China.